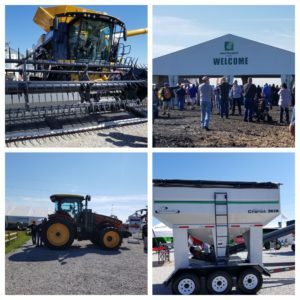 Attorney Ron Martin attended the 2018 Farm Progress Show in Boone, Iowa. This show allowed Ron to see firsthand much of the newest farming equipment. The modern “Draper Head” for combines and seed tenders such as the Seed Chariot pictured here caught his interest. The all-wheel drive tractor pictured is a far cry from the Farmall Super M that Ron operated in high school. The information that he obtained at the Farm Progress Show provides him with the practical perspective needed when working with agri-business people. 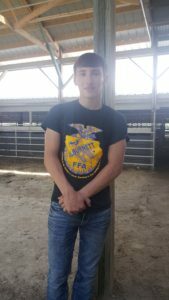 In 2018, Attorney Ron Martin continued his tradition of attending the Linn County 4-H and FFA Livestock Auctions as a representative of Day Rettig Martin, P.C. Ron grew up on an Iowa Farm and participated in 4-H and FFA programs himself in his youth. He knows firsthand how important the buyers’ contributions are to these programs. Because of this he attends these auctions to show the Law Firm’s support. The attorneys at Day Rettig Martin, P.C. 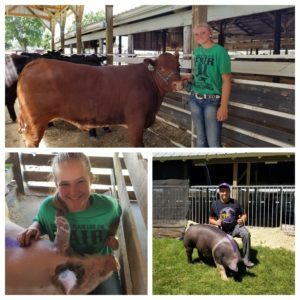 proudly promote the next generation of Iowa Farmers that participated in the Linn County 4-H and FFA Fair. Pictured are some of the livestock bid on by Attorney Ron Martin in support of his community. Ron also uses his life experiences in his practice; he represents farmers and agricultural businesses in need of assistance with their legal needs. Attorney Ron Martin represented Day Rettig Martin P.C. at the Linn County 4-H and FFA Livestock Auction again this year. 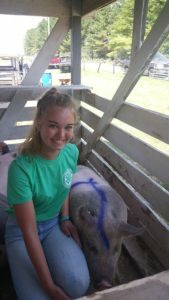 The Law Firm purchased two steers, a market lamb, and a market pig to support the fair participants and the 4-H and FFA programs in general. Ron, himself, participated in 4-H and FFA in his youth showing steers and heifers. He appreciated the buyers support then and wants to show the Law Firm’s support now. The Law Firm’s practice areas include assisting farmers and other agriculture businesses with their legal needs. The 4-H and FFA programs help provide the foundation for young people who will be our next generation in agriculture. Day Rettig Martin, P.C. 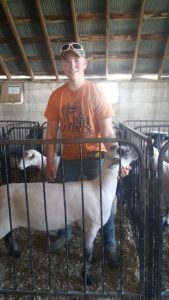 is proud to support the Linn County 4-H and FFA Fair participants. 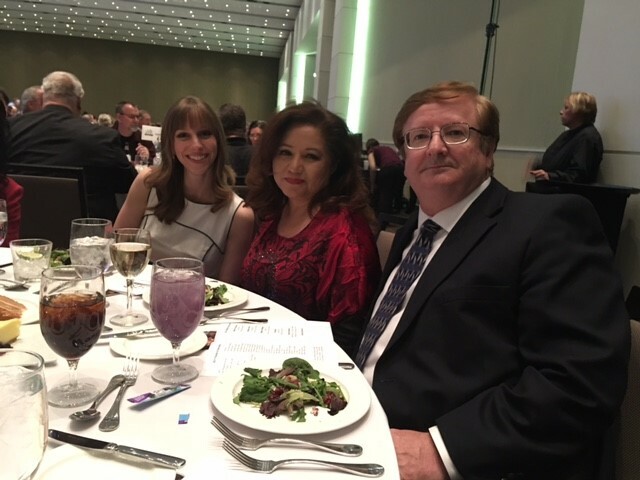 On March 21, 2017 attorneys and staff from Day Rettig Martin, P.C. 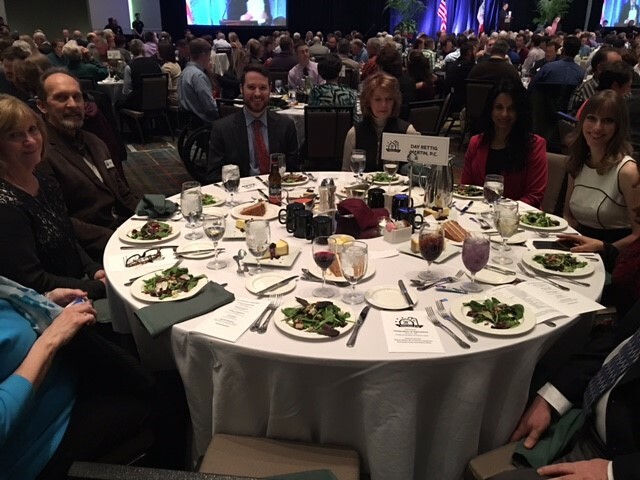 attended the 31st Annual Celebration of Agriculture at the DoubleTree by Hilton Convention Center featuring keynote speaker, Robert White, Vice President of Industry Relations, Renewable Fuels Association (RFA). This event allows those involved with any aspect of agribusiness to come together to show their support for the agricultural industry. This year attendee donations were split between HACAP Food Reservoir and KS Livestock Association. Day Rettig Martin, P.C. is proud to support and champion the causes of the agricultural community here in Iowa. If you have questions about financial matters, commercial transactions, production contracts, easements, estate and succession planning, or bankruptcy, pick up the phone to call a law firm that has experience in agriculture law. 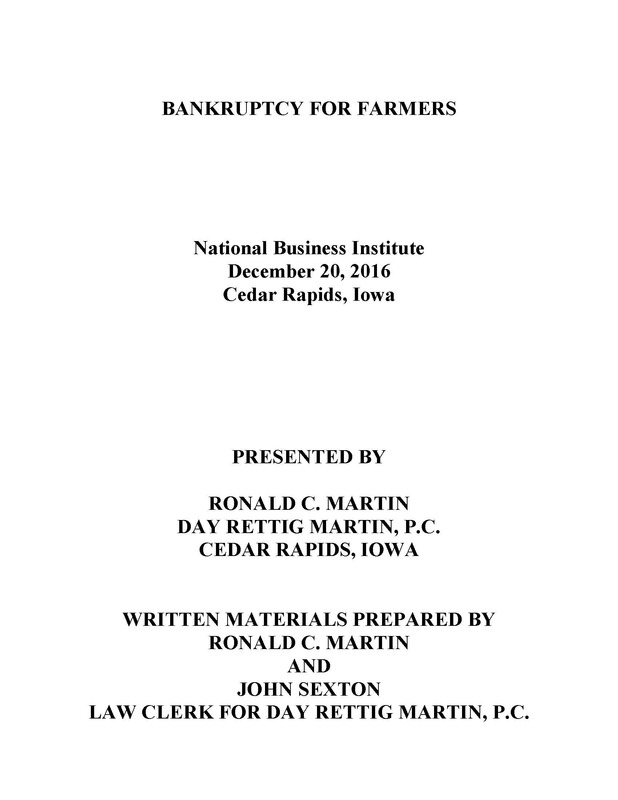 On December 20, 2016, Attorney Ronald C. Martin presented at the Iowa Farm Business Tax Strategies, Regulator Changes, Succession Planning and More seminar sponsored by the National Business Institute. Attorney Martin’s presentation focused on educational material to assist farmers, landowners and their attorneys in understanding the state and federal effects of bankruptcy, and debtor-creditor laws as they pertain to agriculture. Among the items discussed were the importance of documentation, exemptions, Chapter 7, Chapter 11, Chapter 12 and Chapter 13 bankruptcy. The materials from the presentation are now available on our website. National Retirement Security Week (Oct. 16-22, 2016)! National Retirement Security Week (October 16-22, 2016) is a national effort to raise public awareness about the importance of saving for retirement. This week provides an opportunity for employees to reflect on their personal retirement goals and determine if they are on target to reach those goals. This week is also a great time for plan sponsors/employers to review their retirement plans for any changes and determine ways to increase retirement plan participation for the upcoming year. The experienced attorneys at Day Rettig Martin, P.C. are committed to educating and counseling plan sponsors regarding their retirement plans and the importance of saving for retirement. We invite you to participate in this exciting week. Effective October 3, 2016 Day Rettig Martin, P.C. office is open with regular office hours of Monday- Friday, 8:30 a.m.- 5:00 p.m.
Due to flooding in Cedar Rapids, Iowa, Day Rettig Martin, P.C. has temporarily relocated its office but continues to have access to voicemail and email. If you need to reach the office by telephone, please leave a voicemail to the specific attorney or staff member you are trying to reach by following the prompts after dialing 319-365-0437. We will return your call upon receipt of your voicemail. You may also contact specific attorneys and staff members by email. Email addresses may be located on our website at www.drpjlaw.com. We anticipate we will be at the temporary location for a week and will make every attempt to ensure that business continues as normal. Day Rettig Martin, P.C. 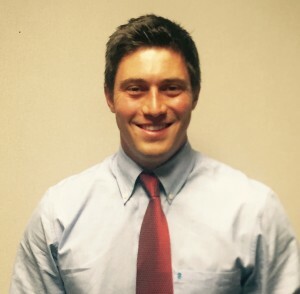 is pleased to announce second-year law student, John Sexton, has joined the Firm as a law clerk for the summer. John grew up in rural northeast Iowa and attended Denver High School. He is the son of a teacher and veterinarian. John graduated from Wartburg College in 2014 with a Bachelor of Arts degree in Business Administration and Accounting, and he played on the Wartburg golf team. His decision to attend law school was inspired by the legal implications involved with business transactions. John is entering his final year at Wake Forest University School of Law in Winston-Salem, North Carolina, where he is concentrating on tax and estate planning. In his spare time John enjoys golfing, fishing, and rooting for the Cubs and Hawkeyes. He is involved with the Leadership for Five Seasons College and Intern Program with the Cedar Rapids Metro Economic Alliance and is a basketball coach for the Hanes Hosiery youth program.